Visit the world's only One Piece theme park! See the amazing live stage show in which the world of One Piece will be recreated in front of your eyes! A must see for fans of the internationally popular anime One Piece! We enjoyed one piece tokyo tower. Thanks klook for the hassle free booking. Its a must go for one piece fans. Marking the 15th anniversary of the One Piece anime series, the Tokyo One Piece Tower is the city's newest, exciting amusement park. 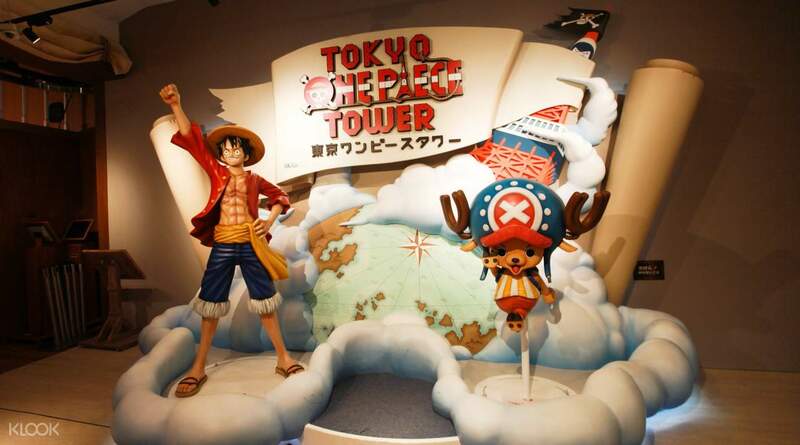 Opened as a permanent facility inside the iconic Tokyo Tower, the place is a true paradise for lovers of the internationally acclaimed pirate-themed comedy anime One Piece! Immerse yourself in the adventures of Luffy and his friends and enjoy an unforgettable time at this exciting amusement park! 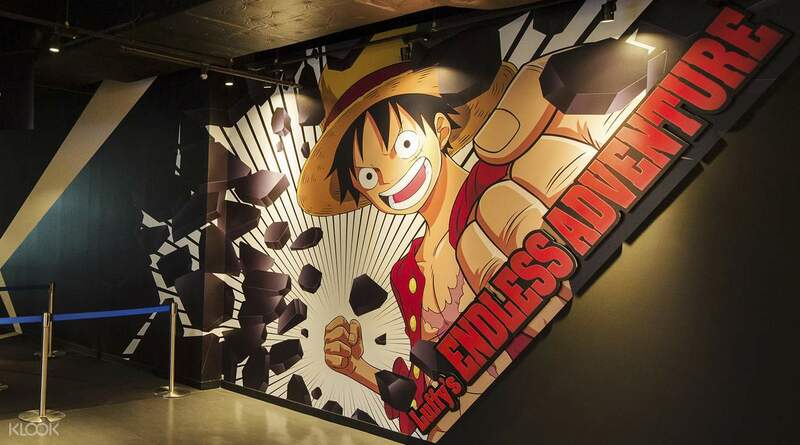 Some of the attractions inside the park include; Nami's Casino, Luffy's Endless Adventures. Usopp's Ball Shooting Game, Brook's Horror House, and the Soul Edge of Zoro. If that's not enough, there is a live stage show in which the wacky world of One Piece will be recreated right in front of your eyes! Please enter the Tower on the date selected. The voucher is only valid on the date selected at the time of booking. 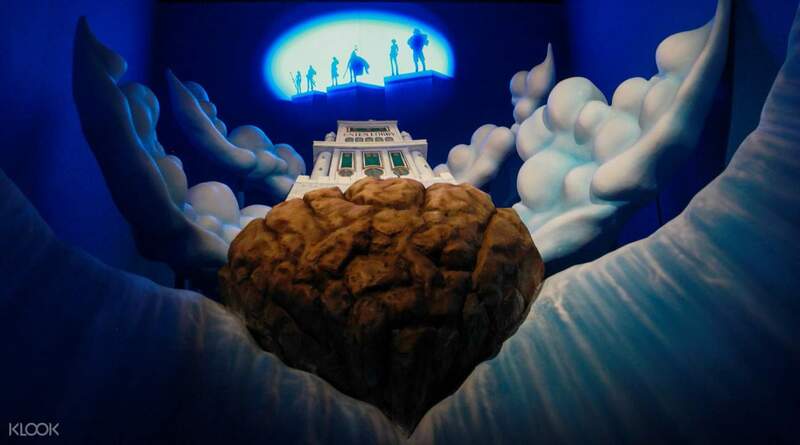 Tokyo One Piece Tower is the best place to be if you are a One Piece fan!!!! The live show is always a treat, I can't wait for the next show starting 24th April! If you're early/lucky enough you might be able to get a photo with the crew!! Enjoy the show and park! Tokyo One Piece Tower is the best place to be if you are a One Piece fan!!!! The live show is always a treat, I can't wait for the next show starting 24th April! If you're early/lucky enough you might be able to get a photo with the crew!! Enjoy the show and park! Chose tokyo tower over skytree because of this theme park. A must see and experience while in Tokyo for OP fans. Collected physical ticket with printed voucher. A lot of activities to enjoy. Each crew has own attraction facility. But the live stage show was the highlight! Even without understanding the language, its still enjoyable and entertaining! Chose tokyo tower over skytree because of this theme park. A must see and experience while in Tokyo for OP fans. Collected physical ticket with printed voucher. A lot of activities to enjoy. Each crew has own attraction facility. But the live stage show was the highlight! Even without understanding the language, its still enjoyable and entertaining! Easy to redeem tickets. We went there on a Monday afternoon. There were few people and we get to enjoy all of the attractions. Sadly though, we weren't able to see the live action and were not able to take part in the meet and greet. Spent about 3 hours inside. Fit for both One piece fan and non one piece fan. Easy to redeem tickets. We went there on a Monday afternoon. There were few people and we get to enjoy all of the attractions. Sadly though, we weren't able to see the live action and were not able to take part in the meet and greet. Spent about 3 hours inside. Fit for both One piece fan and non one piece fan. Husband and I grew up watching one piece and both of us felt that this place is a must for one piece fans out there. There are many photos to take and so many merchandises to buy. I bought the show tickets and though it is all in Japanese, we like the singing and action. I just wish there is more fighting scenes. Too bad cranky, robin and brook wasn’t there :( seems like the show changes their storyline every year? Overall, highly recommended! Husband and I grew up watching one piece and both of us felt that this place is a must for one piece fans out there. There are many photos to take and so many merchandises to buy. I bought the show tickets and though it is all in Japanese, we like the singing and action. I just wish there is more fighting scenes. Too bad cranky, robin and brook wasn’t there :( seems like the show changes their storyline every year? Overall, highly recommended! Had a great time! Super convenient to redeem tickets as you can skip the lines outside the tower and go straight to the third floor to redeem from the One Piece admission counter (don't forget your passport!). Employees on the ground level were helpful in directing us to the proper floor. If you are an One Piece fan then this is the place for you to go. Plenty of things to see and free activities to do. Had a great time! Super convenient to redeem tickets as you can skip the lines outside the tower and go straight to the third floor to redeem from the One Piece admission counter (don't forget your passport!). Employees on the ground level were helpful in directing us to the proper floor. If you are an One Piece fan then this is the place for you to go. Plenty of things to see and free activities to do. Really had fun inside the Tokyo ONE PIECE Tower. You can play different games created by each Strawhat pirate crew. You can play Robin’s search for poneglyphs, Usopp’s road to SOGEKING, Nami’s Casino (too bad I didn’t got the VIP Card), Zorro’s swordplay challenge, there’s also a game by Brook, Chopper, and Franky (visit to find out!). You can also buy souvenirs and watch the play (very much recommended since you get to have photo-op with the cast). You can also see artworks by ONE PIECE fans and also a very great piece from Eiichiro Oda himself. 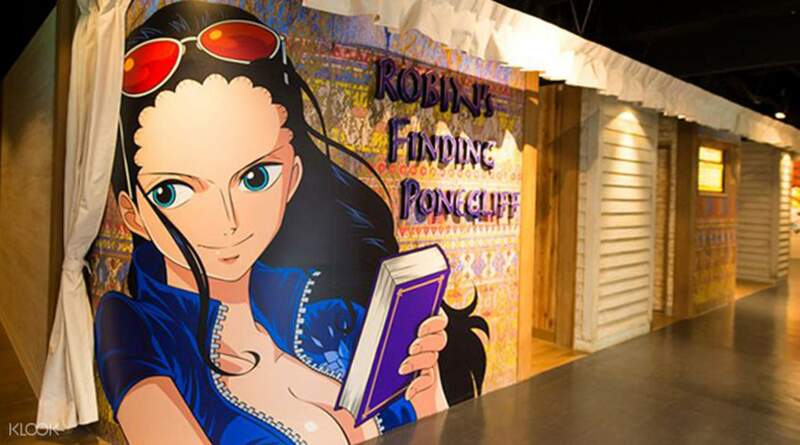 A must visit for ONE PIECE fans going to Japan! Really had fun inside the Tokyo ONE PIECE Tower. You can play different games created by each Strawhat pirate crew. You can play Robin’s search for poneglyphs, Usopp’s road to SOGEKING, Nami’s Casino (too bad I didn’t got the VIP Card), Zorro’s swordplay challenge, there’s also a game by Brook, Chopper, and Franky (visit to find out!). You can also buy souvenirs and watch the play (very much recommended since you get to have photo-op with the cast). You can also see artworks by ONE PIECE fans and also a very great piece from Eiichiro Oda himself. A must visit for ONE PIECE fans going to Japan! A must for every one piece fans! Awesome experience! Do all activities offered! Liked the Robin’s Finding game (Den den mushi is heavy though) Food is great as well since you can read manga while waiting. Very fun experience. Don’t miss any photo op (there are lots) No more waiting in line to get in, just present the mobile voucher and you are good to go! A must for every one piece fans! Awesome experience! Do all activities offered! Liked the Robin’s Finding game (Den den mushi is heavy though) Food is great as well since you can read manga while waiting. Very fun experience. Don’t miss any photo op (there are lots) No more waiting in line to get in, just present the mobile voucher and you are good to go! Great experience. Choose the one with the live shows, you won't regret it. Various games, displays, a gift shop, restaurants, and all other One Piece memorabilias. Easy to locate and exchange for a physical ticket. Great experience. Choose the one with the live shows, you won't regret it. Various games, displays, a gift shop, restaurants, and all other One Piece memorabilias. Easy to locate and exchange for a physical ticket. A: No, you can only participate during the specific timeslot you have chosen.